did Anyone know is this the Jerry Merrit of Gene's Blue caps? i have no answer now,bu i found some good MERRIT 's story on "black cat rockabilly"
In May 1959, Dwight's pure rockabilly magic of 'Let's All Go Wild" was released. 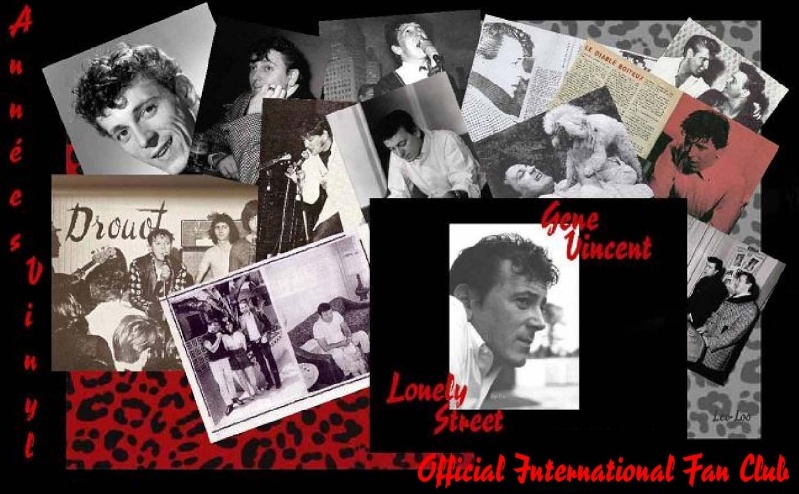 It was around this time that rockabilly music was having a significant impact on Dwight as during the summer, he also became the road manager for Gene Vincent. Pullen was working for agent Pat Mason in Seaside, Oregon who had become Gene Vincent's manager. In August 1959, Gene recorded two of Pullen's songs for his "Crazy Times" album (Capitol T 1342). These were 'Everybody's Got A Date But Me' and 'She She Little Sheila', the latter being listed as a co-write with Blue Cap Jerry Lee Merritt. 'Sheila' saw several cover versions around the world such as those from The Spotnicks (Sweden), Flash Cadillac (USA), Idoles 60 (France) and Les Chaussettes Noires (France) who also recorded the aforementioned 'Everybody's Got A Date But Me'. Jerry Merritt also recorded a version of 'Sheila' in 1959. Jerry Merrit recalls the story of 'Sheila' as follows: 'I gave half of the songwriters credits of "She She Little Sheila" to one of our managers, Whitey Pullen. He and Pat Mason booked Gene and I on the 1959 tour of Japan. Gene got madder than a hornet at me for giving half of the song away, but I was young and foolish. Whitey was a rockabilly singer on Carlton Records and I felt he was a rhythm singer like me. I still don´t regret giving the song away. His widow got the money from the royalties after his early death, so I still feel I did the right thing'. This may or may not be true as Whitey was a songwriter in his own right. It is quite possible that he added some ideas to the tune. Whatever, it is a very tasty composition. 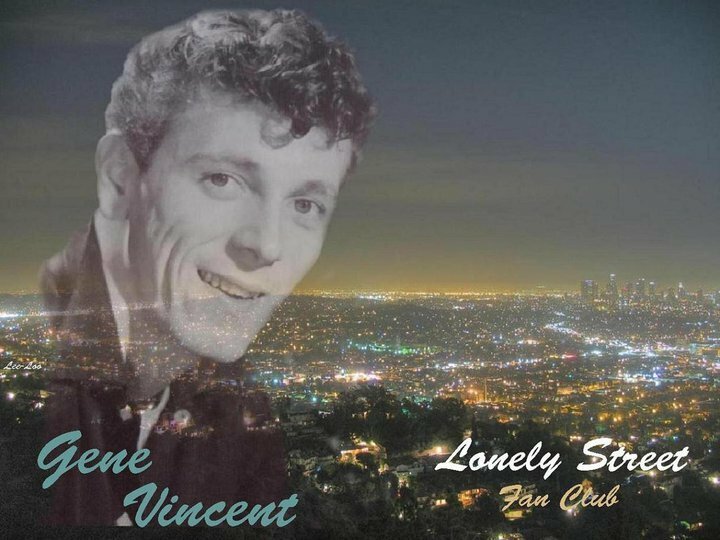 The aforementioned Japanese tour was the one where Gene Vincent got homesick for his wife Darlene and left leaving Jerry Lee Merritt had to finish it under Gene´s name. Pat Mason remembered: 'Gene Vincent was a good attraction and entertainer, but I had problems controlling him. When he got back from Japan I decided, I was gonna have to give up with this. I moved Gene and Darlene back to Hollywood'. After this ill-fated tour, Vincent and Merritt went on to record a new album for Capitol. 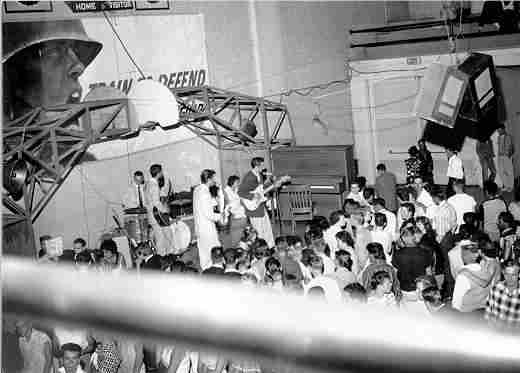 Jerry Lee Merritt has been quoted that he used Whitey Pullen's Fender Stratocaster Guitar on that session. Whilst Pullen is not listed on the files for this batch of sessions, rumour has it that Dwight played rhythm guitar on some songs. This does make sense he was at the session acting as manager, songwriter and guitar rental. James Noble, who wrote 'Why Don't You People Learn How To Drive' for the same Gene Vincent album was Dwight's nephew who had previously written his signature song 'Sunglasses After Dark'. James's mother was Pauline 'Polly' Pullens, an older sister of Dwight. 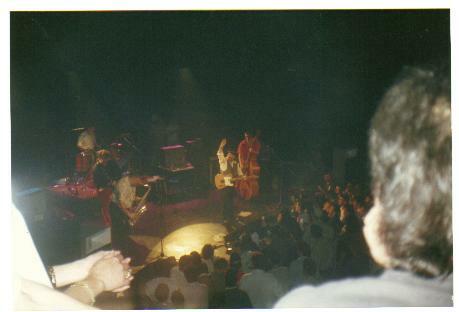 Whitey and James were opening the shows for Gene Vincent singing such as 'Blue Suede Shoes' and 'Johnny B. Good' during three tours in 1959 that made their way through the North West and Mid West USA.. After the intermission they came back on stage as backing band for Gene Vincent. James remembers 'I played bass for Gene , while Whitey played guitar as part of his backing band. That didn't make us real Blue Caps but we had a good time anyway'. The last gig that they played with Gene was the day before he left for the first English tour - the one involving the horrific road accident that left Gene seriously injured and Eddie Cochran dead. As a farewell present, Gene left James the Fender Bass which had been owned by him. Jim still uses the same instrument to this very day. When Gene Vincent and The Blue Caps toured or performed on television shows in the San Francisco Bay area, they occasionally stayed at the house of their road manager's sister, Betty Pullen who is two years younger than Dwight. Manager Pat Mason mentioned that Pullen made the contacts for Gene´s European tour in 1959 by going to England, France and Germany playing army bases. Then they did Alaska and Japan, where they played for $2,000 per day. October 1959 saw the release of a slightly upbeat re-recording of his first recording "I´m Beggin´ Your Pardon". No I know its this "Gene's " Jerry Merrit,Because The Song" Its all over now" is the B Side of the Song LA, but they dont release is on CD. fine music career, he spent time songwriting and touring with Gene Vincent in the late '50. plans for the future when this tragedy hit him. Nashville), and Ed. He also had a daughter, Lee Ann from Joyce, and other step-children. His family will miss him deeply - and so will we!! God bless Jerry. Subject: Re: Jerry Merrit '45 ??????? » JERRY LEE LEWIS d'in ch'Nord !